i may no longer qualify for “back to school” shopping, but that doesn’t mean i can’t use the season’s sales to stock up on some of my week day staples. not sure why i gravitate towards pants versus skirts or dresses for the office most mornings, but over the last few years i’ve accumulated quite a collection (perhaps because i’m perennially cold, and they don’t require recently shaving your legs). 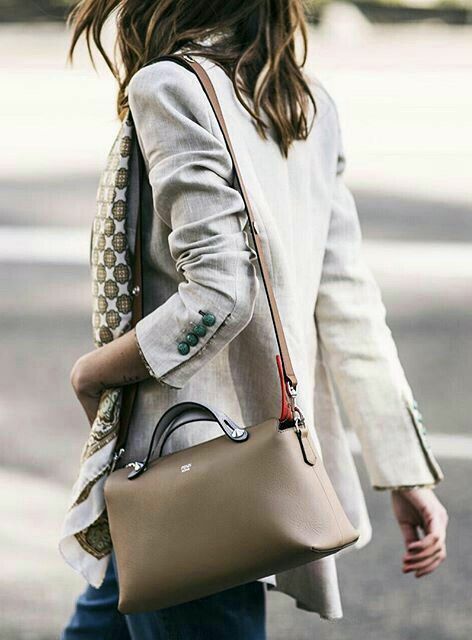 as the workhorses in my wardrobe, i never feel bad splurging on a well made style, given they see a lot more action than most items in my closet. but several bargain pairs have also worked their way into rotation, including a legendary $19 pair of WHBM clearance culottes i bought during a work trip in Columbus, OH and wore so often they literally disintegrated at the seams. which of course they no longer make. RIP. below are the six pairs of work pants I wear around the clock (and pretty much all year long). 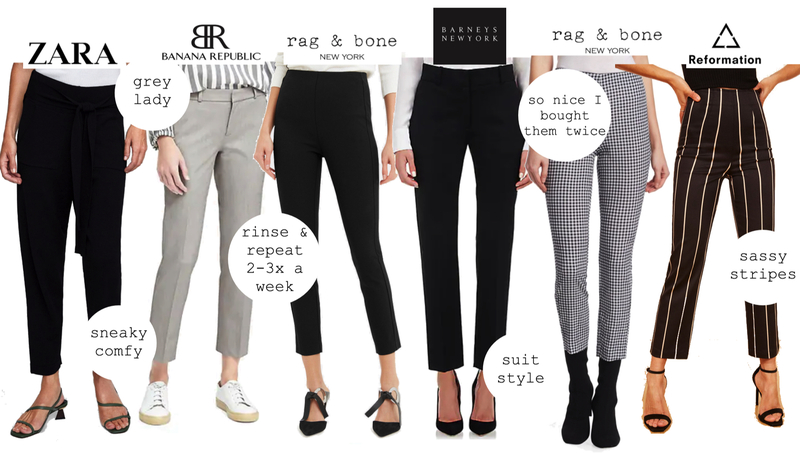 the rag & bone simone’s have a sleek high waisted fit and concealed back zipper, perfect for longer tops or sweaters, but the barney’s trousers deserve the high school superlative “best all around,” and if you buy them at the store custom tailoring is included. a zara knit pair, far left, might be the newest addition to the group but they are coming in hot– as basically chic sweatpants with an adjustable wrap waist, i can’t say enough good things about them. grab a pair (or two) before they sell out! also, knowing that most working gals have their “go to” pair of black pants (many of which are the herewith Minnie I’m told), i would love to hear your favorites in the comments below! we can have a big happy-family-sister-of-the-traveling-pants-kumbaya moment. gap? milly? theory? club monaco? pick your poison and share with the group please! 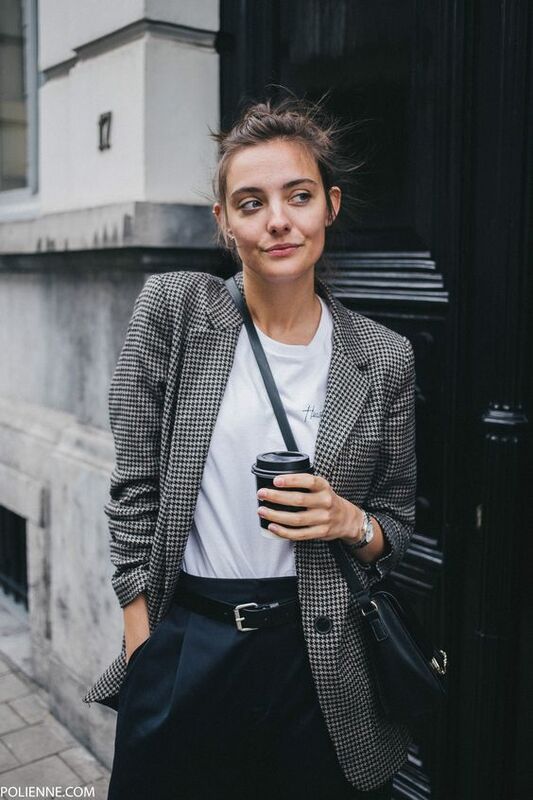 while most people (at least life according to Instagram) are currently headed to various summer vacations, beach getaways and tropical destinations, this working girl is sticking to the mean streets of nyc, at least Monday-Friday. leave it to one of my favorite fashion blogs, le catch, to have me clamoring for the perfect new summer office staple — a linen blazer. 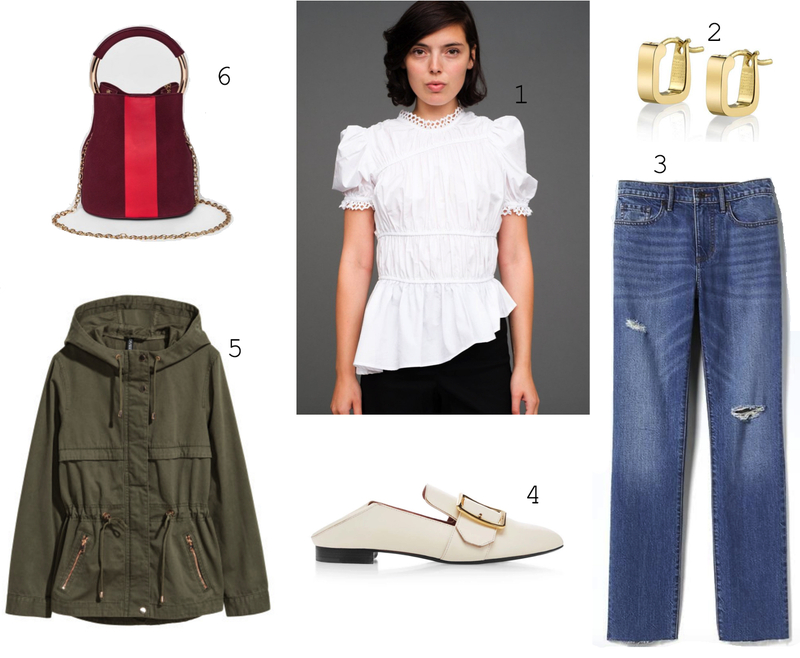 as with anything featured on le catch, most items go quickly, so I was happy to snap up the j.crew style below before it sold out (hopefully it will be restocked soon). ah, dreaded monday is here again. a friend of mine is starting a new job at a tech startup this week and reached out for some advice on how to nail a very casual office dress code. 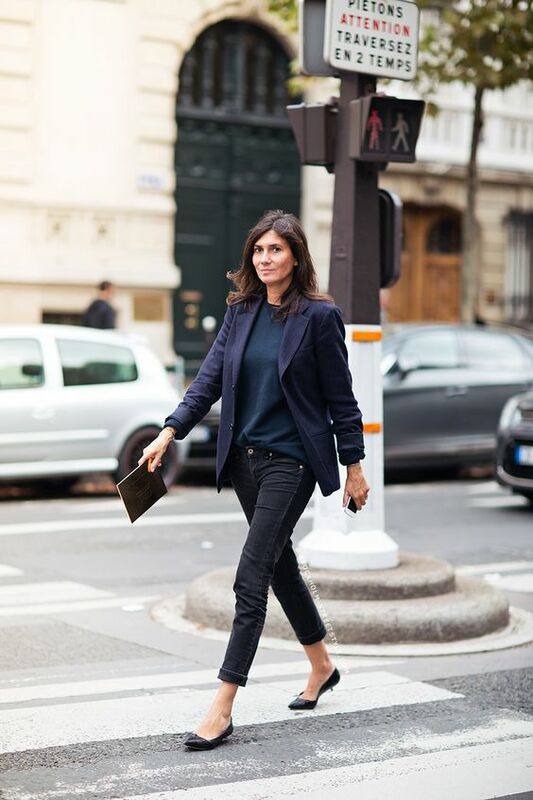 While most people would be psyched to have the freedom to wear pretty much whatever you want to work, as a female who’s grown up in pretty formal business settings, I can relate to how untethering this transition might be. sometimes too many choices can be overwhelming. 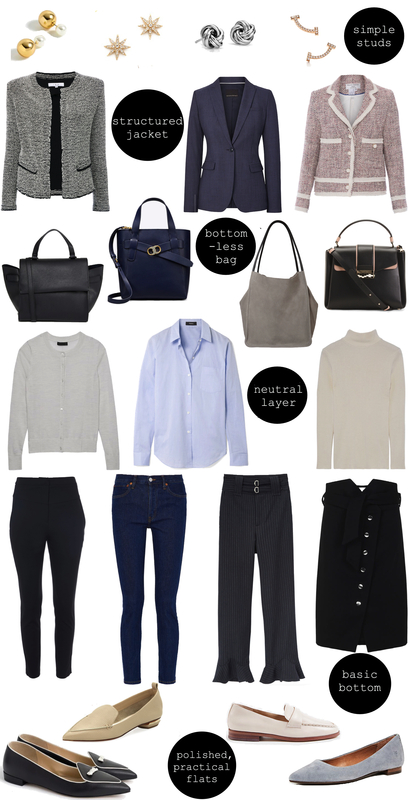 as you can see highlighted in many of the shots above, there are a few staples any working girl should own. 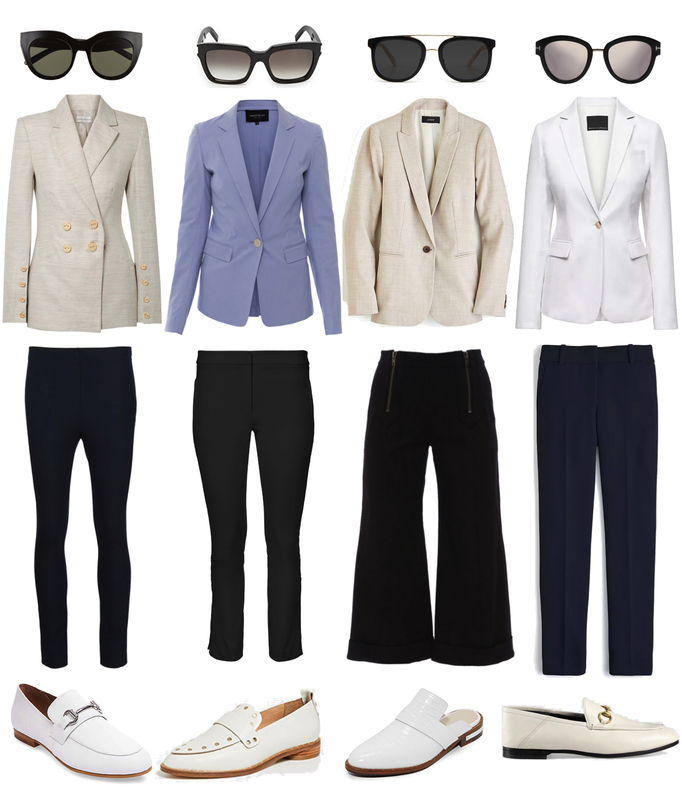 these include a white cashmere crewneck, well tailored cropped black pants, a pointy flat (these or these) and a navy blazer. however, outside those parameters, i have come up with a pretty standard recipe of key items for getting dressed in a hurry monday – friday. 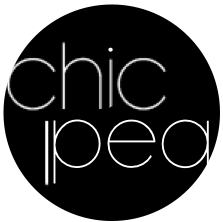 CPs- are there things I missed? what are some of your go-to work staples? let me know! while i’m ready to stick padding in my blazers, i am digging the puff sleeved vibe. 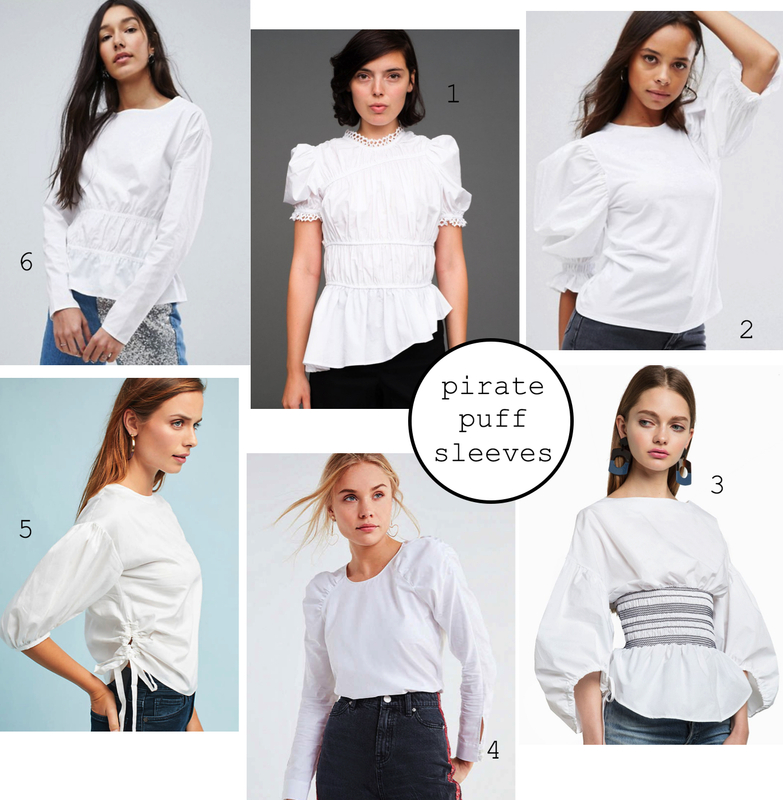 in my head, i envision a crisp white pirate shirt of sorts, paired with dark high waisted denim, a big ole pair of ear baubles, and some slick patent loafers. is it just me, or do other people plan dream outfits in their head as much as i do? when i found this blouse by Sea at bergdorf’s last week, i immediately fell in love with the detailed sleeves and elastic bodice ruching. however, i did not love the $350 price tag– for a top i will a) be sick of in 3-6 months and b) get a bronzer stain on the neck immediately upon wearing. CPs— what are your feels on this trend?! love it or leave it? lemme know!